I really took Kevin Zraly’s advice to heart when I decided to purchase a Mâcon-Villages ( ) rather than a Pouilly-Fuissé to taste a wine from this region. Though not pricey by any means, he said the most Mâcon-Villages is pretty good and that Pouilly-Fuissé isn’t really worth the extra money. But its so fun to say! Fortunately, I had the opportunity to taste both at the K&L Burgundy tasting. And neither could hold a candle to the wine from Puligny-Montrachet that I really loved anyway! Mâcon is a region that produces almost entirely white wine. It’s warmer there than the Côte d’Or, but the wines are fairly solid. Or maybe I just think so because I’m finding myself so enamored with white Burgundy and its acidic un-oakiness! Near the southern tip of the region, just north of Beaujolais, is the Roche de Solutré. Nice rock! It marks the end of the great growing region of Burgundy (or rather the end of the limestone plateau in which great Burgundy is grown). It is within sight of this landmark that Pouilly-Fuissé is grown. 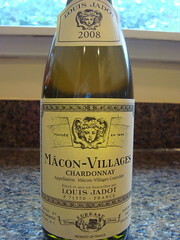 I picked up a half bottle of Louis Jadot Mâcon-Villages for my tasting. It was fairly clear and golden yellow. It smelled like oaky chardonnay. I thought uh-oh, should’ve sprung the few extra bucks for the Pouilly-Fuissé! But, on second smell, I could pick up the acid underneath. Sure enough, the wine had a biting acid, but was also creamy, with a fairly heavy body and lots of minerals (i.e. stones). This also seems an appropriate time to interject a quick lesson on negociants, given that Louis Jadot is very well known and often seen outside France (like in Target, for example). So, I mentioned in my previous post that Burgundy is not a land of glorious château, but mostly rural farmland. Until fairly recently, especially in Burgundy, most French wine was made by negociants. They were the ones who made, bottled and sold the wine, but did not grow the grapes. As I’ve mentioned before, vineyards have been split into very small parcels (law of equal inheritance) and so it was often the case that growers didn’t have the quantity of grapes or the financial means necessary for the equipment to make wine. Negociants bought the grapes, or must, sometimes even juice, produced wine, often with a “house style”, and sold it. 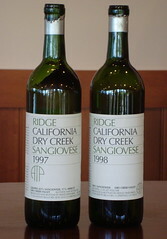 They were dominant until about 25 years ago when more small growers began producing their own wines. And many negociants have since gotten into the grape-growing side of things too. How do you tell when looking at a French wine label if it was made by a negociant or not? The key word is “Domaine”. It functions very much like the word Estate on American wines. So, this Mâcon-Villages said simply “Louis Jadot”. This means they bought the grapes to make the wine. However, if it said “Domaine Louis Jadot” that would mean it was made from grapes grown on land Louis Jadot owns. Next lesson- what does Maison on a label mean? The day before I was planning to head to K&L to buy the rest of my Burgundy (having already visited Draeger’s the day before), I received my newsletter in the mail from K&L. Guess what they were holding the very next day? A Burgundy wine tasting! I cleared my schedule. The tasting was hosted by their Burgundy buyer that goes to France and meets with the winemakers of many of the wines they sell. He was incredibly knowledgeable and pronounced all the French words with an American accent. Made them seem less out of reach for my non-French speaking self! The tasting was of 13 wines (!! ), 7 white and 6 red. What was interesting about this tasting was that many of the wines were labeled “Bourgogne Blanc” and “Bourgogne Rouge”. That means the grapes could come from anywhere in Burgundy (much like a bottle of wine that says “California” could come from anywhere in the state). 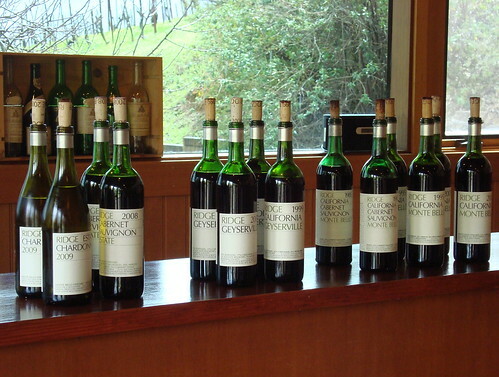 But, many of the vintages we tasted (2008 & 2009) were years that the economy was struggling. Our host said that many of the winemakers declassified their grapes so they could still sell their wine, but since he had relationships with them, he knew for a fact that many of the wines were actually from specific villages. Read: Wine Bargains. At any rate, the most interesting thing I took away from the tasting was a further lesson on malolactic fermentation. It seems that most (if not all) red wines go through this, and some whites, especially Chardonnay, do too. This process takes the malic acid (like the tartness of a green apple) and changes it into lactic acid (like in milk). This is what gives Chardonnay its creaminess. 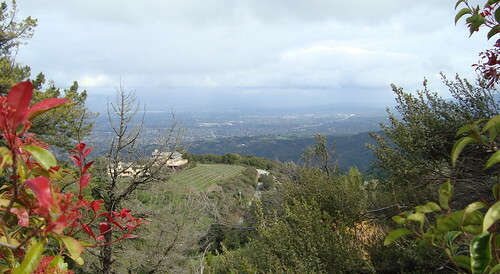 As California Chardonnay has become a bit over the top lately, some producers have specifically chosen not to put their wines through malolactic at all, or they stop it before it finishes, in order to preserve the natural acidity in the wine. These are the California chards I prefer. All of the white burgundies I tried at the tasting had good acidity and all were noticeably better to me (in that I don’t like super creamy, or oaky, chardonnay) than most domestic examples. I was surprised when our host told us that all seven of the wines had been through a complete malolactic fermentation. Because it’s a fairly cool climate in Burgundy, the natural acidity of chardonnay grapes is quite high. Incomplete malolactic would be the winemaker’s nightmare! Of course, my two favorite wines of the tasting were the most expensive. The 2008 Maison Jacques Bavard Puligny-Montrachet 1er Cru “Champs Gains” was a five star wine. And at $54.99 would’ve been the most I’d ever paid for a white wine-- if I’d gotten it. I’m still thinking about it... The 2008 Maison Champy Chambolle-Musigny was my favorite red. A four star wine coming in at $46.99. I also learned a bit more about reading French wine labels, and how to tell if the wine was made by a negociant or not- but this post is getting long. I’ll save that for a future lesson. I was completely incorrect when I thought I was “punishing” myself with Bordeaux. Its hard, true, to remember all the appellations and especially all the various classifications systems. And there are more grape varieties allowed. But next up is Burgundy, and its complexities make Bordeaux seems like child’s play. I have a pretty good memory and a knack for memorization (at least in the short term), but there’s just simply no way I *need* to memorize everything about Burgundy. Not to mention learning how to pronounce everything! So, I’m going to do the abbreviated version. Burgundy For Dummies, if you will. Luckily I’m far more excited about these wines. I think I’m really gonna like Burgundy. So, first, the basics. Burgundy ( in French) makes both red and white wine and they one make one of each. Red Burgundy is Pinot Noir and White Burgundy is Chardonnay. (Ok, this isn’t entirely true. Beaujolais is part of Burgundy and they grow and make wine from the gamay grape. But, no one calls wine from Beaujolais Burgundy, they call it Beaujolais, so I doubt this will cause any confusion). Easy enough, right? 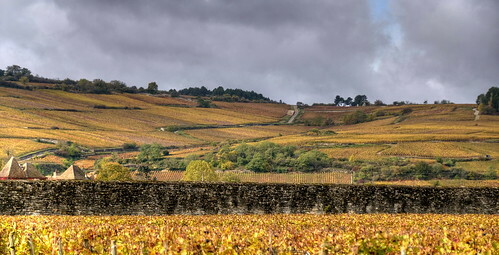 Burgundy is in Eastern Central France and made up of several sub-regions. 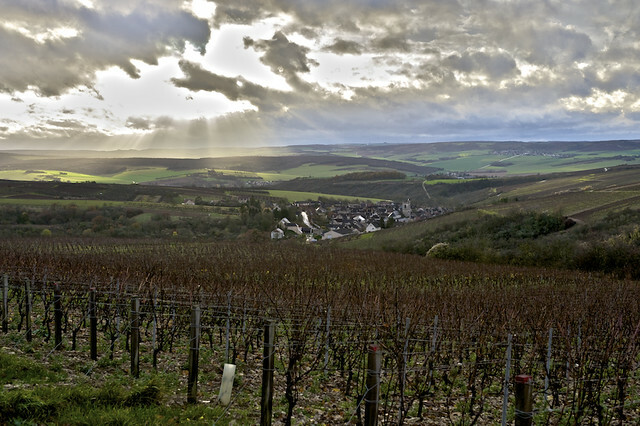 Chablis is actually fairly removed from the rest of the region, closer to Paris, and makes only white wine. The Côte d’Or, the most famous area of Burgundy, which is actually divided into two regions, Côte de Nuits and Côte de Beaune, and makes a mix of red and white wine, Côte Châlonnaise which makes red and white wine, Mâconnais which makes almost all white wine and Beaujolais, 99% red wine, and I will not be covering it in this upcoming series. I have my limits. Next big difference between Bordeaux and Burgundy is that in Bordeaux wines were always from “Château French-Word” and it was the château themselves that were classified in all the various systems. Burgundy is far less glamorous, there are no sprawling mansions. This is farmland. In Burgundy it is all about terroir, so naturally it is the vineyards that are classified. And thanks to our friend Napoleon, who after the French Revolution called for a law of equal inheritance for children, there are a TON of vineyards. In general, it seems that quality is highest from vineyards at the top of the hill, and it goes down from there to the base. There are two classifications for Burgundy, Grand Cru and Premier Cru (often written 1er cru on labels). All Grand Cru Burgundies must say “Grand Cru” on the label and there are only 32 of them, so when you see one you know it’s the real thing. There are 400+ Premier Cru vineyards, so we won’t be discussing those in detail. So, since there are more than 110 appellations and 1,000 vineyard names one must know in order to be an expert, I turned to my buddy Kevin Zraly and his book for my following “Graphique de Bourgogne” (that would be Chart of Burgundy). Memorize this and you may pass for a somewhat intelligent life-form when it comes to the wines of Burgundy. (Pronunciations provided when available). And here’s what I picked up for this little jaunt through the ‘Gold Coast’ (Côte d’Or translated, by the way). 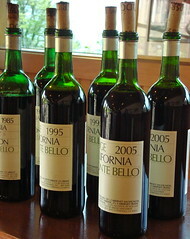 I realize these following wine names may be largely unintelligible, I promise to get more detailed in each wine’s post! And, since they have such a good selection, though not better prices, I also picked up a few things at Draeger’s, an upscale grocery store in downtown San Mateo with an amazing wine department. 2008 Vincent Girardin Les Vieilles Vignes Volnay $38.99 (wow click the link to see how much better prices are at K&L!